Update: Voting for Best of WNC is closed for this year, but there are still lots of great reasons to love Bearwallow! It’s that time of year when you can vote for all of your favorite things WNC—from your favorite barbecue joint to favorite nature camp. There’s a category for Best Day Hike and we’re asking for your vote for Bearwallow Mountain. 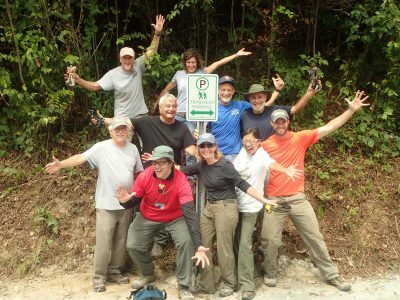 We know WNC has some great day hikes. Here’s why we think Bearwallow Mountain is the best. While you’re voting, we also think Bearwallow is worthy of your vote for Best Picnic Spot. And please show some love for Conserving Carolina by voting for us as Best Environmental or Conservation Nonprofit. Go here to vote! 1. If you love panoramic views, this is your mountaintop. 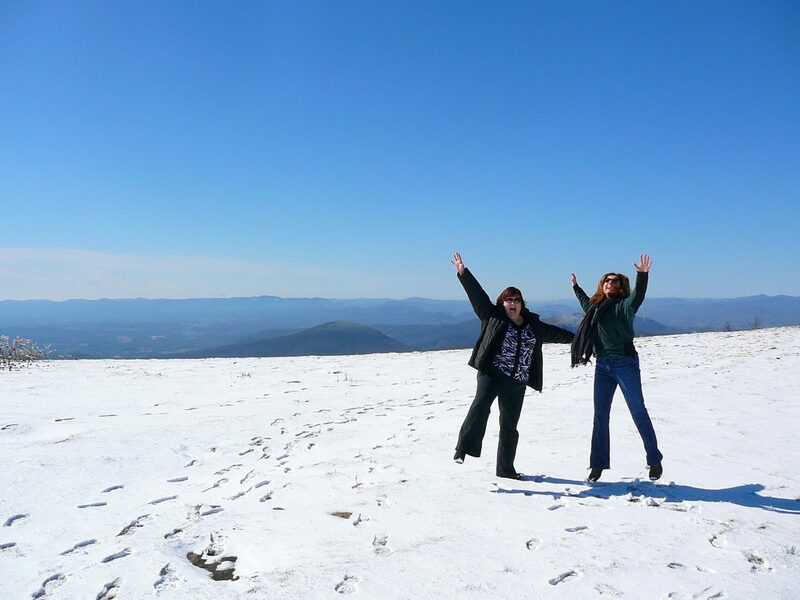 You don’t have to hike far up Bearwallow Mountain before you’re rewarded with breathtaking views—an incredible panorama of the Blue Ridge Mountains. The mountaintop is open and grassy so there’s nothing to block your view. 2. It’s a short hike to the top. You get those panoramic views after hiking for just a mile! That makes Bearwallow perfect for a nature-fix after work, an outing with kids, a jaunt with a picnic in your pack, or an awesome start or finish to a full-day hike. 3. The sunsets are incredible. Bearwallow is a wonderful place to go at the end of the day, where you can watch the sun melt into the Blue Ridge. The wide horizons offer you a whole sky full of color. 4. It’s ideal for a picnic. You don’t have to carry your food very far, so you can get as gourmet as you want. There’s plenty of room on the meadow to spread out and enjoy yourself. 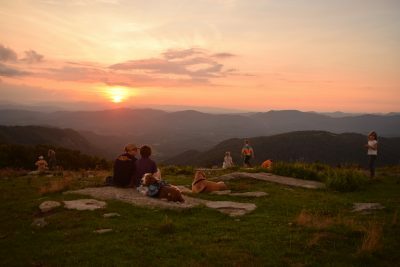 And there are those sunsets… So please vote for Bearwallow Mountain twice—once for Best Day Hike and once for Best Picnic Spot! Maybe your kids don’t like long forced marches? That’ s a pretty common kid trait. Bearwallow is an easygoing hike and on top of the mountain they can run and explore to their hearts’ content. 6. Full moons are calling you. 7. It’s only half an hour from Asheville. You want to spend your day hiking, not driving. 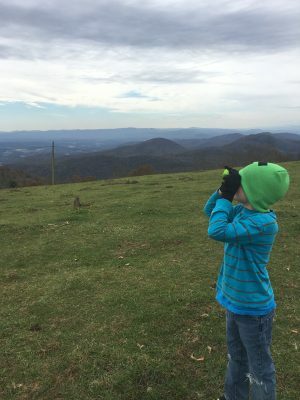 If you’re coming from Asheville, you can plan to spend about 35 minutes on the road. That makes Bearwallow perfect for those days when you really want to get out but you don’t have all day. 8. You can go for a short hike or a long one. 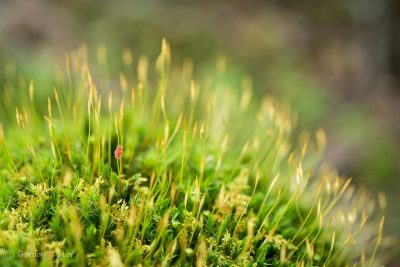 If you do have more time, you can keep on hiking. Follow the Trombatore Trail immediately across the street from the Bearwallow Trailhead for 2.5 miles (each way) to reach Blue Ridge Pastures, with an incredible view down the Hickory Nut Gorge. 9. It’s a well built, sustainable trail. Bearwallow is, for good reason, a popular hike. That means there’s a danger of it getting loved to death, with trails that turn into eroded ruts. At Conserving Carolina, we strive to build our trails to the highest standards of sustainability so they stand the test of time. Here’s a shout out to our incredible volunteer trail crews who help us build high quality trails! 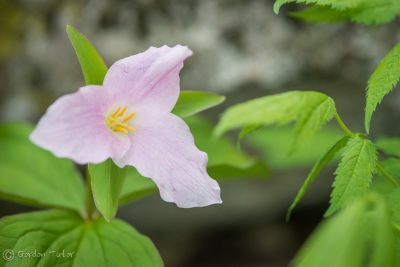 We love seeing the ways that talented photographers capture the beauty they see at Bearwallow Mountain—from the endless mountain views to stunning macro shots of small wonders you can find up and down the mountain, like the close-ups of the moss and the trillium by Gordon Tutor in the photo gallery with this post. As we celebrate Bearwallow Mountain, we want to once again thank the Lyda family, who worked with Conserving Carolina to protect 467 acres of the mountaintop. They still own the land and they farm it (that’s why you might see cows up there) but they have generously conserved it and opened it up for hikers to enjoy.